Keep you signs-If you feel complelled to take them down please put them in your garage. We still have alot to do to get our council to get on board with future plans. 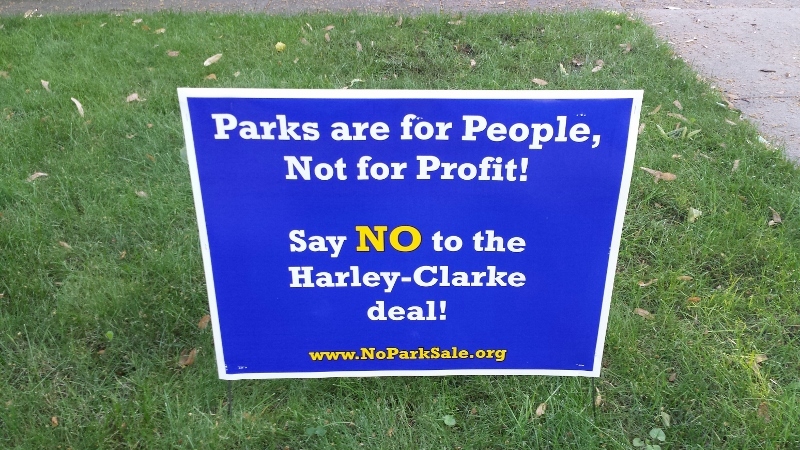 We at NoParkSale.org are asking the city to ensure that when an advisory board is formed, the city reach out to NoParkSale, and other neighborhood groups like CSNA and SEA, the scouts, garden clubs, Preservationist, nature groups, ets/ also encourgage you to email us at info@noparksale.org if you would like to lend you support and or help to us.